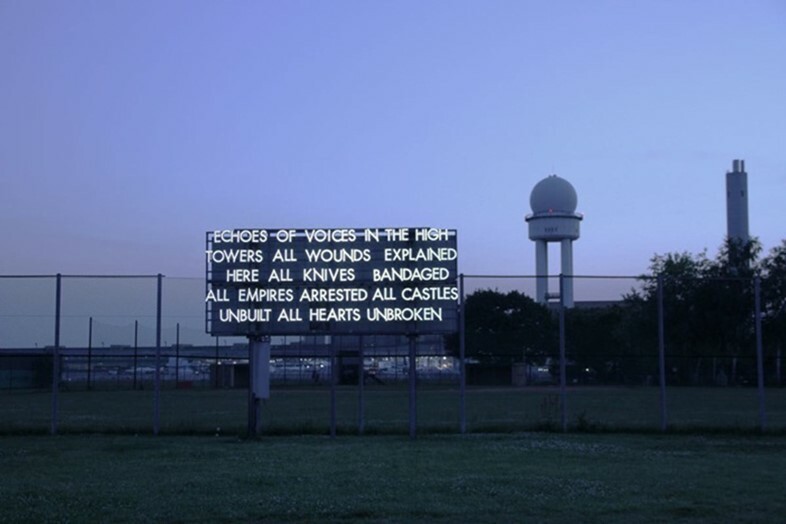 Collaborative poetry rarely takes the spotlight in contemporary verse. 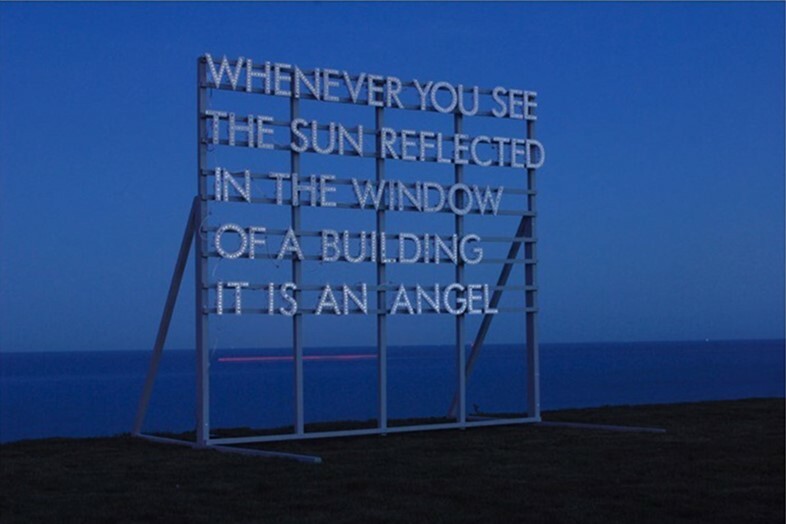 However, Points For Time in the Sky, a new volume of poetry by Greta Bellamacina and Robert Montgomery, not only addresses the storied technique, which dates back to 8th century Japan, but also aims to redefine it for a modern audience. "This is, as far as we know, the first attempt by an English poet and a Scottish poet to make poems together by writing on the same laptop, into the same word document, over a period of months in a year during which their countries almost separated," reads the book's intoduction. 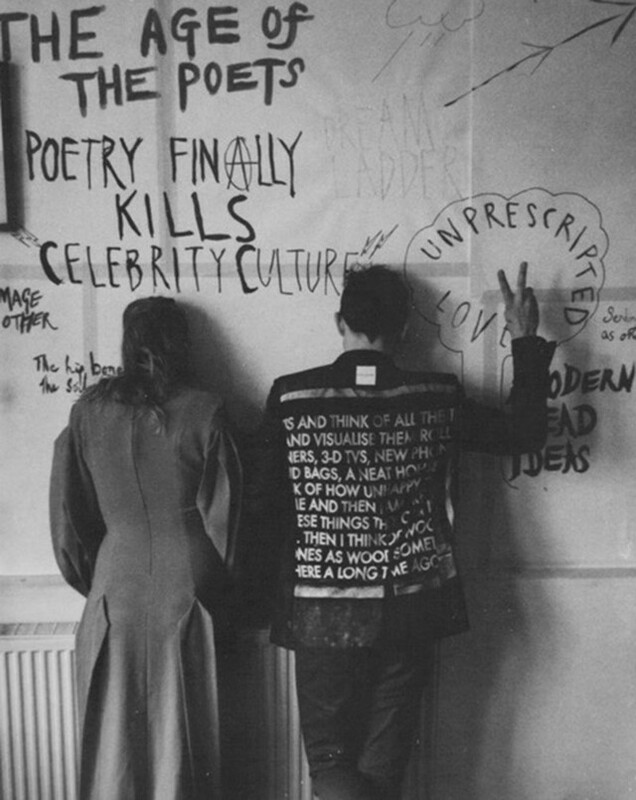 "The result is a collection of truly and unashamedly British Poetry." Bellamacina, who is also a film maker, has been making waves in recent years with her contemporary take on the poetic medium. "I am influenced by poets who have a way of looking at landscape as a continuous home; poets like Octavio Paz and Alice Oswald who look at land as part of a greater system," she explained in a recent interview. "And poets who have an acceptance of past and present... I like to explore these themes a lot in my writing." 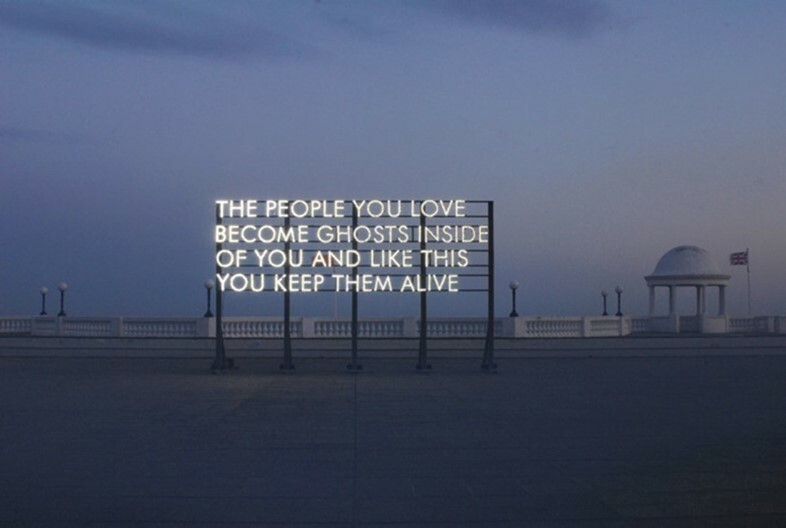 On his part, Scottish artist and poet Montgomery is known for his evocative text installations across different media, which draw from public interventionist strategies, before giving them a powerful and thought-provoking spin. Together, the pair spawn poems that are both "modern and weird... equally full of echoes of WB Yeats, as they are of Tesco and Frank Lampard." Their words are shrewd and witty, presenting a quintessentially British view of the world. Certain lines are deliciously whimisical ("No cider is lonely, but the Devonish can’t punctuate"), others are despairing. "We’ll have just be 2 candles burning clear through," expounds one poignant stanza, "Burning too fast and held up to nothing blue sky in the Damascus noon sun / Shouting to save Palestine / Without ever being listened to or looked at." "We didn’t actually ever discuss the book as an idea," Bellamacina says of the collection's organic roots. "I came over to meet Robert at his studio because I was editing a collection of contemporary British love poetry at the time and was considering some of his poetry for the book. After a lot of wine and cigarettes, we both just started to write together." Fast-forward through many a happy Friday night's penning sessions, and the collection was finally complete. But what do they hope readers will take from the book? "Even though the it was written in various countries, a lot of poems talk about Britain today both politically and ecologically," Bellamacina muses. "I would hope the collection both challenges the way we perceive poetry as well as connects people to the magic within the mundane." Points For Time in the Sky is available from October 22.